This long weekend we finally got the chance to be a tourist at home ground. 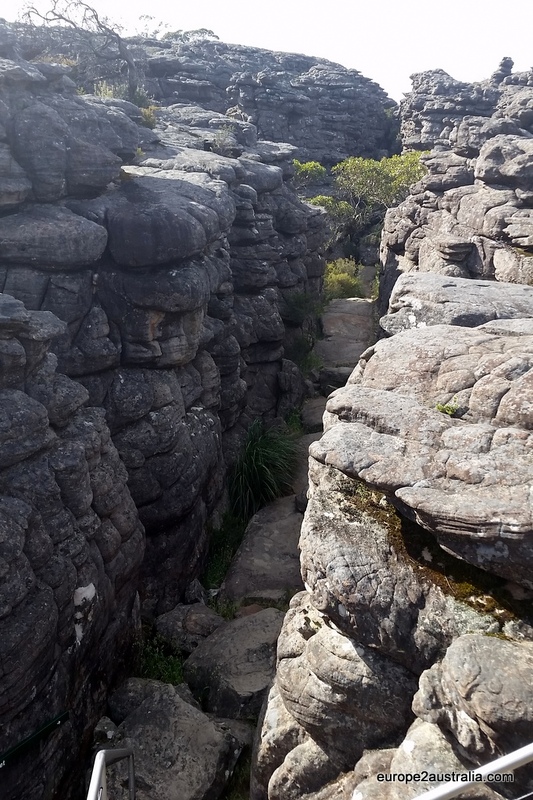 We packed all our stuff and drove three hours to get to the Grampians to go camping and hiking. We made the Melbourne cupday into a long weekend, by taking the Monday off. Cupday is on Tuesday and the Monday before is officially a school day, but when a note was handed to the kids that they had to return the slip if they would not be coming to school on Monday, they were basically handing us the idea of going away for the weekend. So we did! Melbourne Cupday is another Victorian public holidayin Australia based on a sports event. It is Australia’s most prestigious Thoroughbred horse race. Marketed as “the race that stops a nation”. 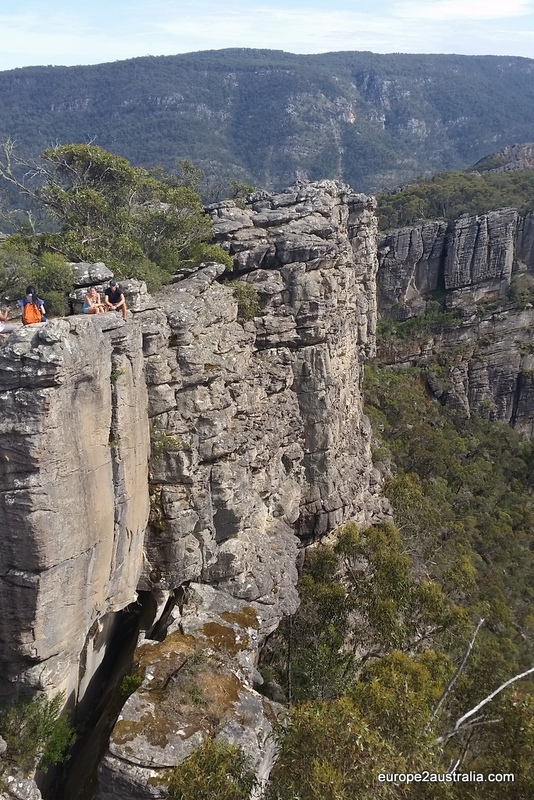 The Grampians are great for camping, scenic drives with vista’s, hiking and kangaroo’s. 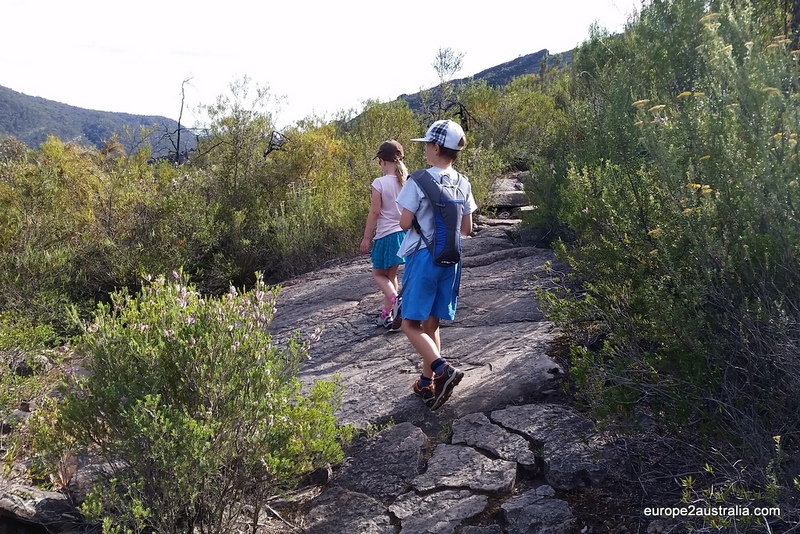 Hiking is one of the things we all love to do. Luka sometimes needs a bit more encouragement, but it has already happened that she was the one who suggested to go walking during a weekend, so she must also like it. 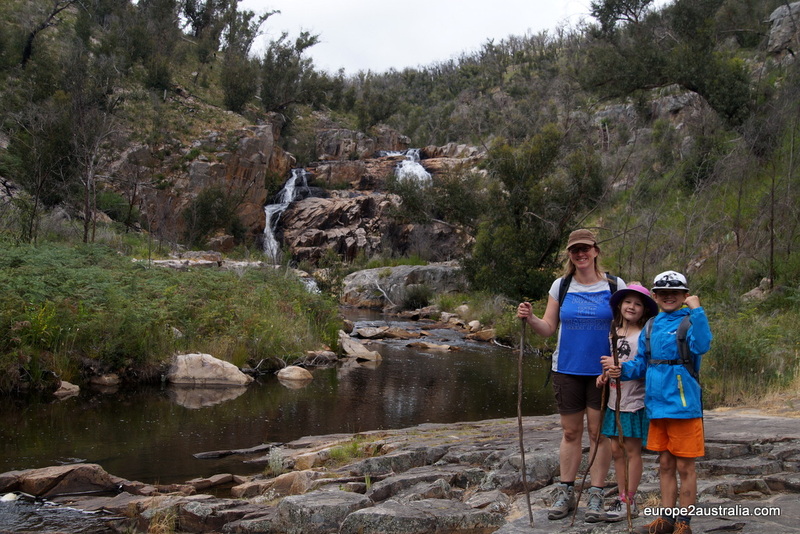 We stayed at the Halls Gap Caravan Park in the Wonderland Area and went on two hikes: the Pinnacle walk and the Mackenzie Falls River walk. We parked our car on the Wonderland car park a short drive from Halls Gap. Here we managed to park on one of the last parking spaces. The walks starts with climbing over rocks, a very fun way to start the walk. Unfortunately the Grand Canyon part was closed due to maintenance. The first part is climbing over rocks, following the yellow arrows. The middle section has a lot of stairs, which is the trickiest part, since it tires you out a lot. We were happy that we brought a camel bag, so we had plenty water with us. The kids were fighting over who could cary it, so our next investment will be a second camel bag, so they can each carry one. It is a great way to make sure that they drink enough and it helps us taking some weight out of our backpack. Walking through the Silent Street is pretty impressive. The top is very rewarding, you have a great view over different sides of the park and the drops are huge. For the return down we took the extra loop, which is different to the rest of the hike, as it takes you through a foresty area. Luka was the first one to notice a lizard crossing the path, which has turned her into a big lizard fan. We started this walk from the Zumsteins Picknick Ground. There are quicker ways to get to the Makenzie falls, but we wanted to work a bit for our falls experience. 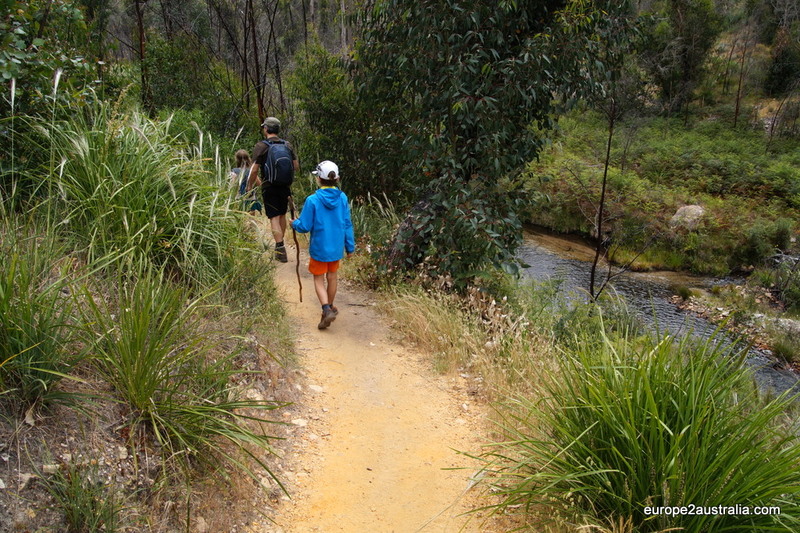 A completely different walk along the river up to the Mackinzie Falls, with another waterfalls along the way. The kids were more impressed with the Pinnacle walk though. You return via the same route. It was clear that there have been bush fires in this area. It is amazing to see how nature recovers from this. We saw many almost dead trees that had started growing again from the bottem up. And everything around it lush and green. 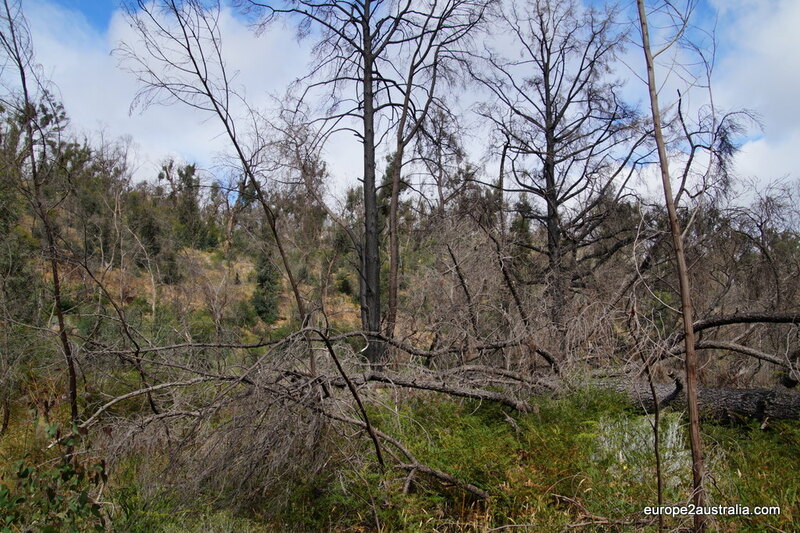 Traces of the damage done by bush fires. The Fish Falls were an unexpected pleasure. 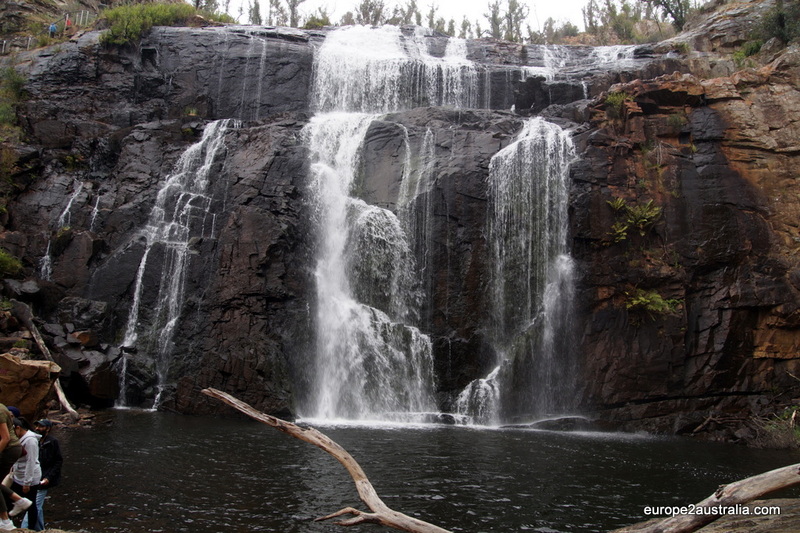 The Mackenzie Falls are a real treasure, you can hear the impressive sounds from a distance. The Mackenzie Falls from a bit of a distance. Return walk to the carpark. 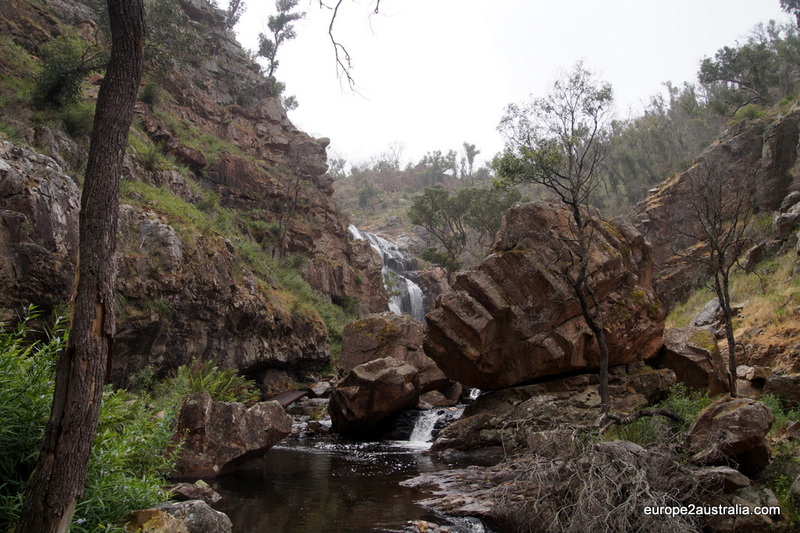 We are definitely impressed with the Grampians, so we will surely return here for another weekend trip. Great memories of a spectacular place.